All requests for new ReliabilityFirst Regional Standards (or modifications to them) are processed using the ReliabilityFirst Standards Procedure. The ReliabilityFirst Standards Procedure is reviewed at least every five years and documentation is maintained. New, or modifications to existing, ReliabilityFirst Regional Standards are presented to the Board for action, in accordance with the ReliabilityFirst Standards Procedure. ReliabilityFirst Regional Standards are coordinated with associated NERC Standards. Appropriate tools are available for posting, commenting on and balloting of Standards-related materials. Appropriate documentation is maintained to monitor draft Standards going through the ReliabilityFirst Standards Procedure. 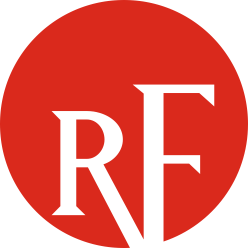 Requests for Interpretations of ReliabilityFirst Standards, urgent actions and appeals are addressed in accordance with the ReliabilityFirst Standards Procedure. Meetings are scheduled as required to meet the responsibilities of the Standards Committee. Standard Drafting Teams have appropriate communication with stakeholders to foster exchange of issues and gain consensus. Process oversight of Standard Drafting Team(s) is maintained. If you have questions about this group please visit our Contact Us page and direct your question to the Standards Committee.